What is wrong with America today? Is it possible that America could crumble and our democracy fail? Questions like these plague Americans and cause us to be anxious about the future of the "land that we love." Individuals may come to different conclusions, but there seems to be a common thread - the deep-seated feeling that we need to improve our country. Our culture is increasingly immoral, the family structure is threatened from all sides, and government programs consistently overreach, creating massive debt. In this powerful and prophetic book, nationally syndicated columnist and trusted political commentator Cal Thomas offers a diagnosis of what exactly is wrong with the United States by drawing parallels to once-great empires and nations that declined into oblivion. 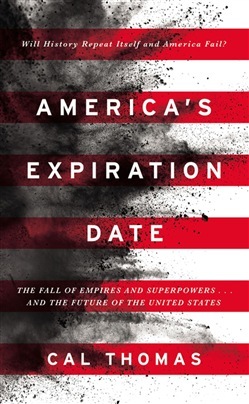 Citing the historically proven 250-year pattern of how superpowers rise and fall, he predicts that America's expiration date is just around the corner and shows us how to escape their fate. Through biblical insights and hard-hitting truth, he reminds us that real change comes when America looks to God instead of Washington. Scripture, rather than politics, is the GPS he uses to point readers to the right road - a road of hope, life, and change. Because, he says, if we're willing to seek God first, learn from history, and make changes at the individual and community level, we can not only survive, but thrive, again. This powerful, timely, and much-needed perspective is a must-read for anyone who longs for a promising future for our great nation. 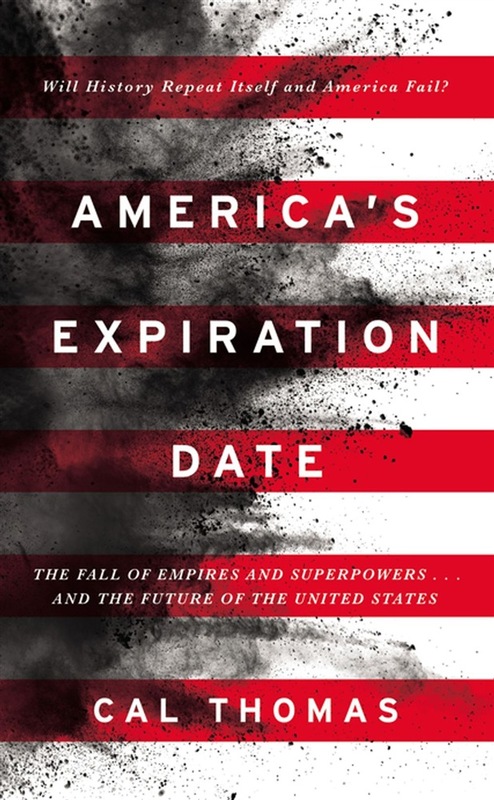 Acquista America's Expiration Date in Epub: dopo aver letto l’ebook America's Expiration Date di Cal Thomas ti invitiamo a lasciarci una Recensione qui sotto: sarà utile agli utenti che non abbiano ancora letto questo libro e che vogliano avere delle opinioni altrui. L’opinione su di un libro è molto soggettiva e per questo leggere eventuali recensioni negative non ci dovrà frenare dall’acquisto, anzi dovrà spingerci ad acquistare il libro in fretta per poter dire la nostra ed eventualmente smentire quanto commentato da altri, contribuendo ad arricchire più possibile i commenti e dare sempre più spunti di confronto al pubblico online.